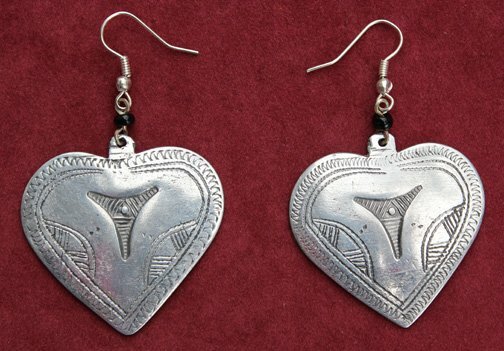 Mali heart earrings crafted in nickel blend by master Mali jewelry craftsmen. Pretty 1 3/4" heart shape earrings. By pair.